number of human resources professionals present. It was the most attended workshop throughout the whole week and I was astonished to see the amount of interest that Emotional Intelligence conjured among our professionals. Perhaps human resources practitioners can relate to this concept better than other professions due to the humanistic element that Emotional Intelligence proposes. Another factor that is influencing human resources practitioners in taking up the concepts of Emotional Intelligence, is that it can be applied at the recruitment stage, as a predictor of success and as a measure of intelligence. A growing body of research suggests that Emotional Intelligence is a better predictor of success than more traditional measures. It may be the single most important factor that leverages the success of people and characterizes those individuals with the right stuff. Research also indicates that whilst your level of IQ contributes 20% of your success, another 36% can be attributed to your Emotional Intelligence (EI). At least 90% of the difference between outstanding and average leaders is related to Emotional Intelligence (EI) and explains why some people excel while others of the same caliber lag behind. Well here it is, in the disguise of Emotional Intelligence. Recruiters will commence changing selection criteria for vacant positions to include Emotional Intelligence (EI) competencies and new behavioral questions will be developed to extract your level of (EI) at the interview. You may find sitting a pre-employment test to measure your Emotional Intelligence (EI) among a suite of other tests usually conducted to measure your abilities. It is the street smart or intuition in you. Reflecting your ability to deal successfully with other people, your feelings, and your everyday work and social environment. 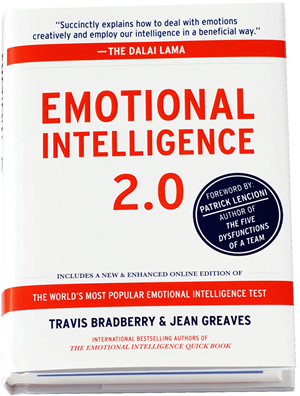 Ever since the publication of Daniel Goldman first book on the topic in 1995, Emotional Intelligence has become one of the most talked and written about influencers of personal and business success. When you are preparing for your interview, consider the following elements of Emotional Intelligence (EI) that you should demonstrate or incorporate into your answers to interview questions. This entry was posted in Australian jobs, careers, employment, emplyment, human resources, Job hunting tips, job interviews, job search, resumes and tagged australian careers, australian job search, Business, careers, Daniel Goleman, Emotional Intelligence, Employment, how to find a job, How to find a job in 6 weeks, Human resources, Interview, job search, managing your job, Question Answering, Social Sciences on January 15, 2013 by Anthony Ranieri.